Before I begin my post about The Gilded Bellini, Brielle Galekovic, let me tell you how this post came to be. I know I am starting with the backstory and I caution against that, but in this case you need to know the setting. Today, October 17, 2017, you will find your social media feeds full of posts from women interviewing women. 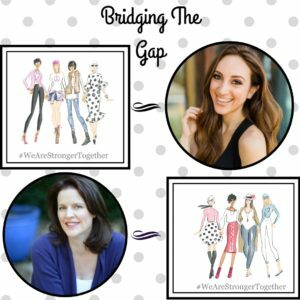 The Bridging the Gap Campaign came about to link up Millennials and MidLife Women. I was paired with this bright light of a young woman clearly on a path of success. The word conjures up so many things at once. Mother’s Day, Easter, Family birthdays are great excuses to go have brunch. “Let’s do brunch.” was how we used to say it. My oldest goes to school in Texas were brunch is a huge deal on Sundays. It is a lifestyle that I didn’t know existed except that, of course, I love brunch! Brielle is from NYC where Brunch became an active verb for her and her friends. One day while searching out the next great brunch spot she found herself with a smart idea. 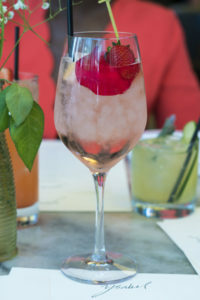 A blog solely about where to go, what to wear and what to drink for brunch. And no one had done one, at least as far as she could find, and no one had done one for her demographic: young, female, millennial. Her background in pr, marketing, and production have all added to the success of her platform. I loved getting to know her and I am now a huge fan. Mostly however I want to go have brunch with her! 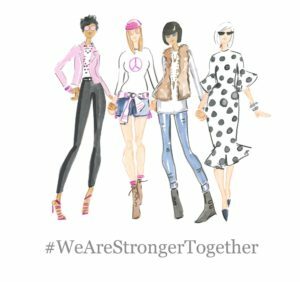 We were paired up through the Bridging The Gap campaign part of the Forever Fierce movement pairing a millennial blogger with an over 50 blogger. I am so lucky to have her as my partner. I can’t wait for another excuse to meet up…I think I have one…Brunch! Brielle manages to find hidden gems in Los Angeles and the rest of Southern California and writes about them. These places are not the regular spots that are fabulous and well known like the Bel Air Hotel. Each place she finds is new to me. Maybe it is a millennial thing that I don’t know about or maybe it is her brunch magic. 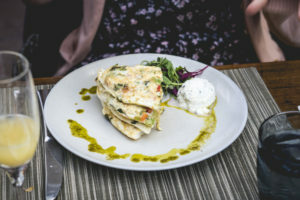 Along with her beautiful pics to make any foodie jealous are her pics of the perfect outfit and cocktail to go with the meal. 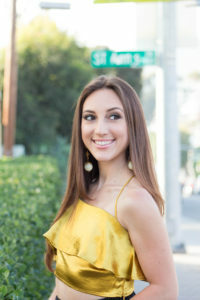 The grace of beautiful LA weather doesn’t hurt either in making her blog and her life girly, sophisticated and classy. She is a supportive enthusiastic woman with an air of confidence. The niche is well suited to her and she to it. I loved talking with Brielle. It was a bit of a peek into the future as I have two daughters one 15 and one 19. Every generation worries about the one that follows. Every parent tries to understand what the kids are listening to or doing or not doing. For all our concerns about this next generation not knowing how to communicate one on one. Or we wonder if they only sit at lunch looking at their phones. The truth is they are learning that human interaction is important and that there is a time to put down the phone, resist the pull of social media and just talk. Brielle’s popularity as a blogger and an influencer is proof that people are looking for personal ways to interact. Her generation who brunch are reaching out to each other. The phone and social media are an extension of their lives, a way to connect and quickly come together in person. In my estimation the kids are alright. Lately she has been expanding her reach with an appearance with a chat with Gordon Ramsay on Fox’s the F Word see pic! She was also an on-air host for the Kid’s Choice Awards this year. Please follow Brielle on Facebook, Instagram, and Twitter and let’s go have brunch! Oh my! I have been following Brielle for a couple of months, but had no idea all she does! She is one amazing young lady. Aren’t you lucky to have been paired with her? I have loved participating in this great campaign. What a fabulous and unique idea!!! Isn’t it amazing the women we meet??? Oh my gosh – all things brunch sounds exactly like my cup of tea! Awesome to meet Brielle! Fabulous article!!! Well written and very informative!!! Cheers to Brielle and The Gilded Bellini!!! I am her very proud momma!!! ❤️???? You have a beautiful and lovely daughter–as a mom I can imagine you are very proud but also really get a kick out of spending time with her! What a lovely blog, Angelique! And your enthusiastic response to meeting Brielle Galekovic, The Gilded Bellini, is so entertaining to read! As an older woman, it does my heart good to know the thoughts and goals of younger women, still reaching out in life! Thanks for this post and for your blog, which is new to me! Thank you so much Janice! I hope you will continue to read my blog and hers as well! Angelique, what a beautifully unique service Brielle has managed to give to the world! I love how brunch is both a treat and a device to deepen connections. Thank you so much for joining the campaign! I love that you created this campaign! Brielle is lovely. Thank you so much for your kind words.